The ice concentration chart for Friday (9 Nov) is shown below (I’ll update this over the next few days). See the ice when bears left last year here. Like Derocher’s student Laura Castro de la Guardia, I am using a definition of “freeze-up” that describes the behaviour of polar bears to newly formed ice, not the date when fall ice coverage on the bay reaches 50% (e.g. Lunn et al. 2016). According to a recalculation of data that goes up to 2015 and back to 1979 (Castro de la Guardia 2017), in the 1980s bears left for the ice at freeze-up (10% sea ice coverage in WHB) about 16 November ± 5 days while in recent years (2004-2008) they left about 24 November ± 8 days, a difference of 8 days. The relative change in the dates that bears left the shore between the 1980s and recent years is only about 1 week, on average (with lots of variation). Freeze-up dates of 10-12 November or so (Day 314-316) for 2017 and 2018 are therefore two of the earliest freeze-up dates since 1979 (the earliest being 6 November, Day 310, in 1991 and 1993), see Fig 3 from Castro de la Guardia 2017 below. Figure 3 from Castro de la Guardia (2017) showing freeze-up and breakup dates and ice-free days 1979-2015 for Western Hudson Bay, showing that the earliest freeze-up dates since 1979 (top panel) came on 6 November, Day 310 (in 1991 and 1993). Virtually all Western Hudson Bay bears leave the shore within about 2 days of sea ice concentration reaching 10% (Castro de la Guardia 2017; Cherry et al. 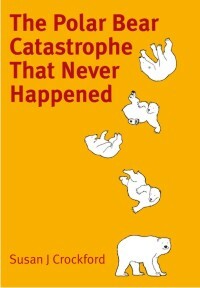 2013), although as noted above, Southern Hudson Bay bears leave when it reaches about 5%: in other words, the bears go as soon as they possibly can. 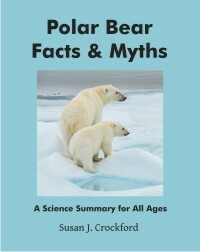 That 2017 post (with its list of references) is worth another look for its discussion of the following points: the definition of freeze-up; the relationship of official freeze-up and breakup dates to the dates that bears depart; the overall health and survival of Western and Southern Hudson Bay polar bears. 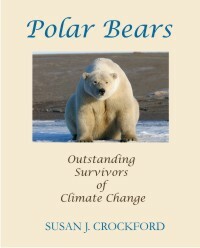 A final note: if PBI spokesperson Amstrup had been right about his predictions of Arctic sea ice and polar bear survival back in 2007 when he was the head of the US Geological Survey’s polar bear research team, there would be no polar bears at all in Hudson Bay right now (Crockford 2017), not a thriving population of fat, healthy bears. This entry was posted in Conservation Status, Life History, Sea ice habitat and tagged alert, charts, Churchill, concentration, freeze-up, Hudson Bay, hunting, polar bear, problem bears, sea ice, seals. Bookmark the permalink.